Why Via Trading? Learn why you should work with us. The liquidation industry is growing exponentially and offers unique opportunities for building a thriving business. We know you have lots of options when choosing a supplier and we’d like you to know how we’re different both in our product offerings and how we value our relationships. Our priority is to build long-term relationships with everyone – our customers, vendors and partners. We do well when you do well, and we are committed to providing resources, tools and assistance to help your business grow and thrive. You will work with a dedicated Account Manager to identify profitable products for your resale channel(s) and how to maximize the profits you make from what you buy. We are proud that over 37,000 businesses have chosen to work with us – from individuals working from home to established resellers with a large purchasing power. No customer is too big or small; your business drives our business. Whether you are looking for a single case of merchandise or a full truckload, there is no dollar minimum you need to spend with us. Just 1 case, pallet or load of your choice. There is no membership fee to work with us! We pride ourselves on personalized customer service. You will have one person to talk to and deal with, and one person who will know your business, suggest appropriate merchandise for you and handle all aspects of your orders and inquiries with us. Most liquidators operate both retail b2c channels as well as b2b channels. This can provide a large incentive to some liquidators to separate loads according to their individual sales needs prior to resale. Via Trading does not operate any Retail Channels. We carry a huge variety of products with thousands of pallets always in stock. New merchandise comes in on a daily basis and we’re sure to have something to suit your needs if not today, then tomorrow! No appointments are necessary – just visit us during business hours, meet us in person, see our facilities and our product first-hand to make sure they are right for you. We practice transparency and encourage you to visit whenever possible! We know that this industry is not always clear-cut so we strive to understand all aspects of your business and advise you accurately. Your success means our success and you will always have a human to talk to when you call during business hours with real people who care and will respond to all your inquiries and/or concerns. The grade represents Better Business Bureau degree of confidence that the business is operating in a trustworthy manner and will make a good faith effort to resolve any customer concerns. Via Trading is Proud to be recognized as the “National Flea Market Association Preferred Supplier”. Liquidation Merchandise is a great value add to Flea Market and Swap Meet Vendors. Complete product catalog available online with images, prices, videos and manifests – signing up is free! Videos of our most popular products. If you can’t see the goods in person, watch the videos! No membership fees, No pallet fees, No loading fees! Need more reasons? Read On! We have over a decade of specialization in the Liquidation industry – Work with an experienced Liqudation Company who can guide you through the process and product options available. We cater to large as well as small businesses – no order and no customer is too small. Just starting out? No problem. Already an established reseller of liquidated goods? Allow us to show you what we can do for you. We maintain an “A+” Rating with the Better Business Bureau. Honesty and integrity in business are of utmost importance to us. We own our merchandise. Goods are warehoused and shipped from our own facility. Many companies in the liquidation industry strictly broker goods. Purchase from a reseller who physically owns the goods and can vouch for their quality and condition. 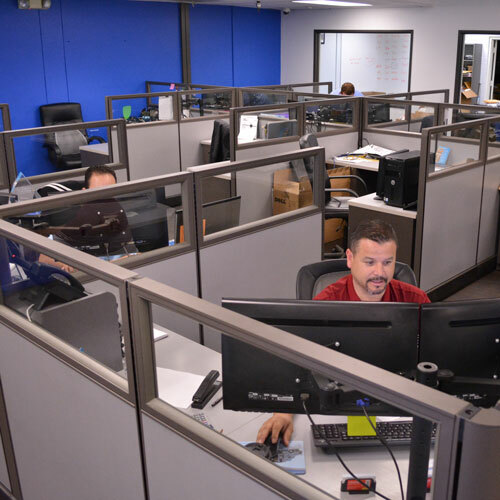 Our team has over 100 years of combined sales & customer service experience – real people are behind each and every account. We know this business and we will assist you every step of the way.We have expanded and moved to larger premises 3 times since incorporation in 2002, a testament to our growth and loyalty of our customer base. Multilingual Staff! (English, Spanish, Hebrew, French, Italian, Portuguese, Greek, Arabic). Over 90% of our sales are generated from repeat business.We ship nationwide and internationally, or you can pick up the goods yourself! Convenience is a priority. Prefer to pick up? No problem – we’re here 5 days a week. Overseas or across the country? You can take advantage of our excellent shipping rates to receive your merchandise at the nearest freight terminal or directly to your door. Full staff to cater to all customer needs – fast replies to emails! Our emphasis is on quick and efficient service. Easy ordering online, by phone, email, fax or in person. Track your order history online! Sign up for a free account on our website and keep track of all your purchases and invoices online. User-friendly interactive website with useful tools and valuable industry resources and information. We not only sell merchandise but also offer all the information in our knowledge base to enable you to grow your business and learn the ins and outs of the industry. No business license or tax ID needed to work with us.